I love shopping at Aldi because it’s one of the easiest ways to save money on groceries, so I thought I’d put together a list of 30 things to buy at Aldi. Well, technically, this list includes over 30 items – and I have a feeling it’ll keep growing over time as I discover new favorites and through your suggestions! This isn’t an all inclusive list and may vary from store to store (as can the quality of the produce at Aldi, unfortunately), but rather, items that were a good deal at the time I took this shopping trip. 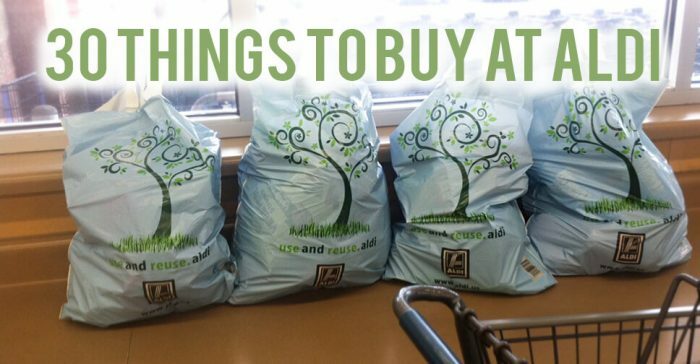 Please feel free to add your “must buy” suggestions in the comments, as well as the items you think we’re best to steer clear of while shopping at Aldi! If you’re curious, we also found some serious cost savings at Lidl. Find out about the 30 things to buy at Lidl. I was really shocked at how much money I saved. Our local store is a little bit out of the way, but it was well worth the trip. 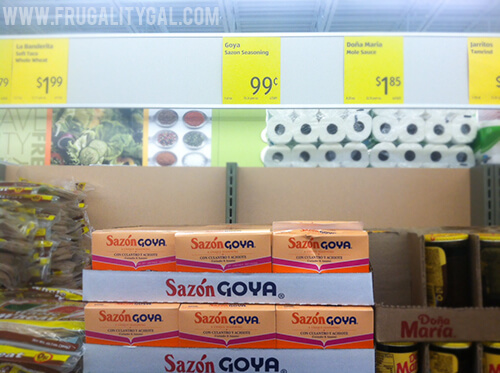 We used a Grocery Store Comparison Printable to keep track of the costs for similar products amongst the local stores. I had thought that my neighborhood store was the most expensive, but after writing it all out, I was wrong. 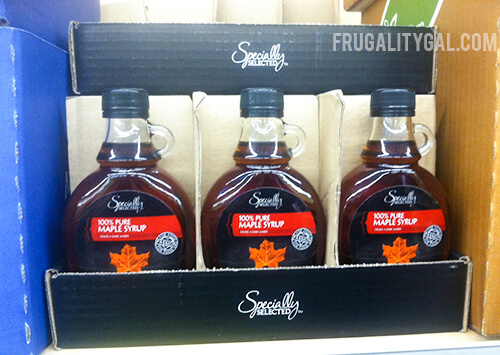 After using this printable, I changed my grocery shopping habits and saved money! Aldi beats out just about every local competitor on dairy prices. I’ve found the best deals to be milk, eggs and shredded cheese, with shredded cheese being the best deal overall in the dairy section when compared to other local stores. I could have easily listed the entire produce section, because Aldi typically has the best deal on produce overall. Unfortunately, I’ve heard that the quality of the produce can vary from store to store, but if your local Aldi has quality produce, it can be a reliable way to stretch your grocery budget! Meat is the one section where I think Aldi can be hit or miss. 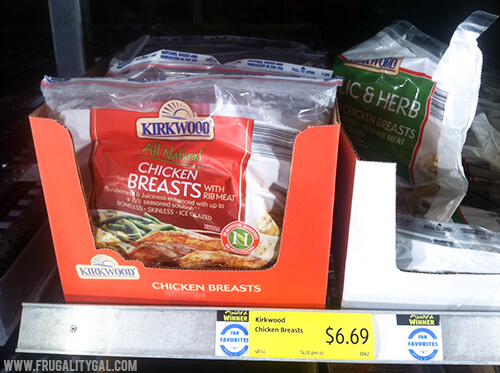 While I don’t think they always offer the best prices on beef, chicken is reliably inexpensive. In seafood, the best buys are salmon and tilapia. I’m lumping all “inner aisle” items into this section. My favorite buys in this section are almost anything from their line of organic products, as well as the maple syrup and dried beans. What are your favorite deals to buy at Aldi? How do the prices compare to other stores in your area? Please share your tips in the comments below! I buy flour tortillas, taco seasoning, canned vegetables (especially the very early small peas), cat litter, trash bags and steak sauce. When they have their Little Salad Bar brand guacamole I buy it, better than the Wholly Guacamole brand. Their zipper bags are better than the brand name that keep splitting down the side when you open them. Love their zipper bags! Thanks for the suggestions! Aldis. I have had great shopping experiences at each store and I like the way they treat their employees. They have their own Gluten Free foods, which I love. Its not a choice for me, I have to be gluten free for health reasons not a fad diet. Never had problems with any produce or meats – do prefer fresh meat counter as frozen not always GF. We purchase the dairy (yay) and almond coffee creamers which are much lower in sugar. We purchase the frozen ducks, pork and shrimp which are all better priced than other local grocers. AT Christmas time, we purchase treats for stockings and trays/ boxes of German chocolates for friends at wonderful prices + quality! We just got our own local store and are very happy! Hooray! Their Gluten Free products–Live Free–are great! Celiac in the family, so we are delighted. Best part is that Aldi GF foods are about HALF the cost of other stores. 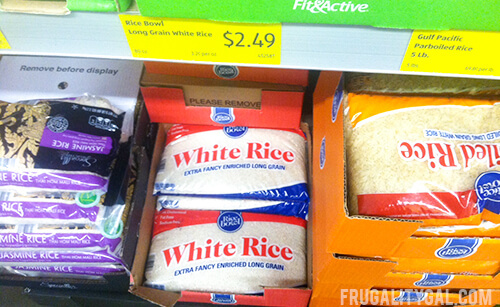 We like their white bread better than the pricey brands other stores carry. The brownie mix is sensational! I NEVER buy produce at Aldi.. maybe this is a regional issue. But it never spoils. Never. How can produce sit out for days, even weeks, without spoiling? Meat eaters should take care buying meat the comes in trays with flat plastic wrap over the top, which is mostly for red meat. Packers pump air with certain chemicals in it to keep it looking pink. I don’t want meat with chemicals. I also am a fastidious label reader at aldi – most of the other meat products have additives that turn me off. I love their cereal – so much cheaper than national brands with no difference in taste. Oddly, it’s the opposite with their snack goods. Aldi’s just can’t compare to national brands. Disposable products like TP and Kleenex are a favorite. buy of mine. I’m also impressed by how many organic and preservative free items they are adding to their line as well. I also buy basic baking goods (flour, sugar, baking soda, salt, powdered sugar and brown sugar) at Aldi which saves a ton since I do a lot of home baking. I’m sorry to hear that about the produce at your Aldi. My Aldi has amazing produce, and it will go bad if you don’t eat it. It doesn’t go bad any faster than other store produce, though. The prices are so good, too. My Aldi has weekly produce picks, where the produce is priced even cheaper than the normal Aldi prices. Maybe you should make a complaint to corporate about your Aldi, maybe they will fix it! That’s so strange! It must be a regional issue, because the produce I buy at my Aldi “behaves” like the produce we purchase from other local stores. I never knew about the meat trays containing chemicals! I thought that was just there to absorb any juices that would develop! I have trouble finding produce that isn’t spoiled at my Aldi. 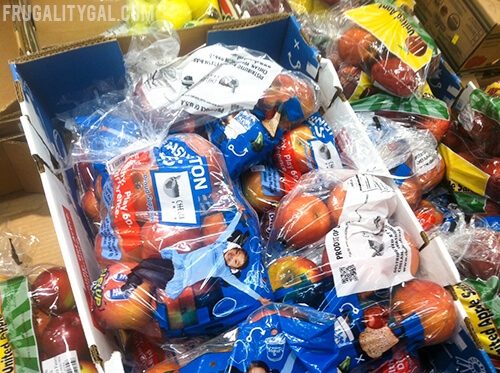 If it’s in the foam tray with the plastic wrap, I don’t buy it because you can’t see the other side of the produce. Usually always spoiled. I used to work for a different major grocery store while in college. Although I didn’t work directly with the Butcher shop, my union was associated with their’s, they told me after purchasing meat (if it’s not freshly butchered) as soon as I got home re-wrap it (portion it out too is helpful). If I wasn’t going to cook it within the next 2-3 days freeze it, throw away that little pad in the bottom immediately. Most importantly DO NOT just toss your meats, chicken, etc. into the freezer as is from the grocery store! It’s not just a matter of being freezer burned or spoiling faster, but if a professional Butcher does it this was at his home, I follow his advice still in mine, no matter where I shop! It sounds like you’ve been getting your information from a Vegan site that is trying to discourage people eating meat. If they pumped air and chemicals as you claim into a plastic wrapped container the plastic wrap would be bulged. My only dissatisfaction with ALDI is their produce. Like any other store if the ALDI you happen to shop at doesn’t sell a lot of produce the quality will be low just as it would in any Kroger Store that doesn’t move a lot of produce. I love how much I save shopping at ALDI, especially on meat and dairy. 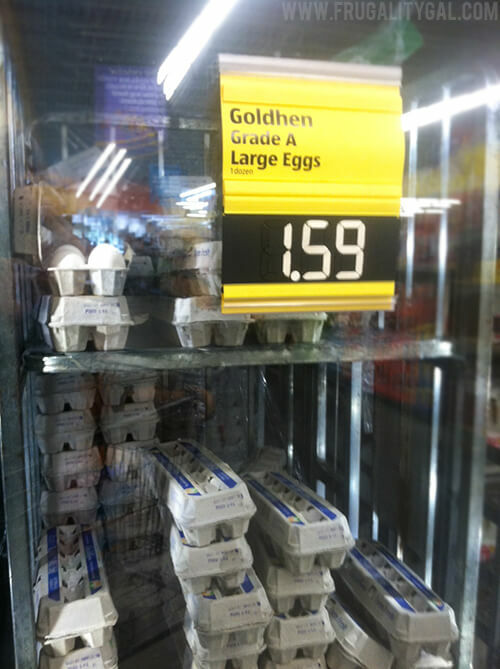 ALDI here in Tn is not that much, there Eggs are 99. bread is only 89. 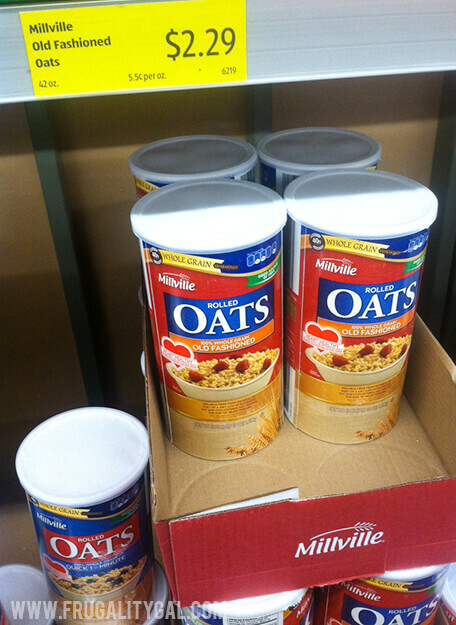 Oats is $1.49 and so much more, is less then what up posted. here in TN, i can go in there with only $30.00 and come out with a lot of thing. that why we go there all the time. thank you for posting. I’ll have to try their sorbet pints soon! We love some of their chips especially the veggie sticks! Produce- I try to buy only what is seasonal. The quality of this produce is usually better. Clearance Items – I have found some great deals on household items at the end of the season. 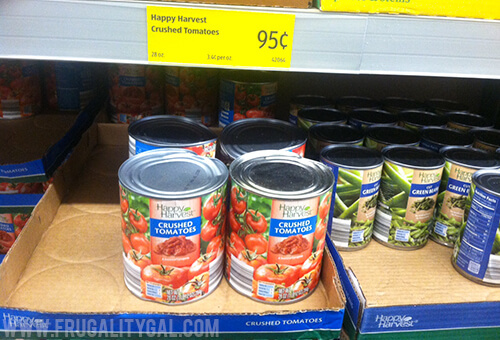 Fresh Salsa – Look in the specialty refrigerator case. The items I buy at Aldis are – tortilla and potato chips, microwave popcorn, salsa, oil, sugar, flour, tartar and shrimp sauces, ketchup, mixed nuts, coffee, apple juice, orange juice, mango juice, milk, eggs, cream cheese, margarine tubs, grated cheese, bags of lettuce/salad, produce, pancake mix, syrup, jelly, baking supplies, mayonnaise, cream of mushroom soup, canned veggies, chili beans, refried beans, tostada shells, tortillas, taco mix, chili mix, egg noodles, pepperoni, instant rice, block cheese, guacamole, sour cream, cottage cheese, cream cheese, frozen fish & chicken, shrimp, frozen meatballs, take and bake pizza, turkeys, hams. I buy snack items such as pretzels and snack bars. Husband likes their cottage cheese, vanilla Greek yogurt, and egg substitute. I do buy produce but sometimes the quality is great and other times it’s not. I do like their plastic wrap and trash bags a lot. They have the double money back guarantee too which is always nice! I LOVE shopping at Aldi. Since we started shopping there more regularly, I have cut our food budget by almost 1/3. It’s GREAT! I don’t buy a lot of meat there, but I usually buy a large package of ground beef (4+ lbs.) because it’s really the best price I can find anywhere, even better than Sam’s, at least in our area. I also buy their Greek yogurt, we like vanilla for parfaits but we also buy the original for smoothies and to replace sour cream. In our area, Aldi has been carrying different kinds of the “Nature’s Path” granola at a fantastic price, so we usually buy that, too. Along with a lot of things you already mentioned in your list, we love shopping there! A word to the wise though, as far as the frozen fish is concerned… I would look at the label more closely to make sure of the origin. A quick google search should give you enough information to form your own opinions so I won’t say anything else about it. Great post! Thanks for sharing!! It is probably easier for me to say what I will NOT buy at Aldi since I do most of our shopping there 🙂 Seriously, though, I have never purchased red meat there – haven’t even tried it so can’t really say what it is like. We have a local butcher shop we go to for meat in bulk. BUT I can say that the marinated turkey breast tenderloins – the Fit and Active brand Aldi carries – are divine! So good! 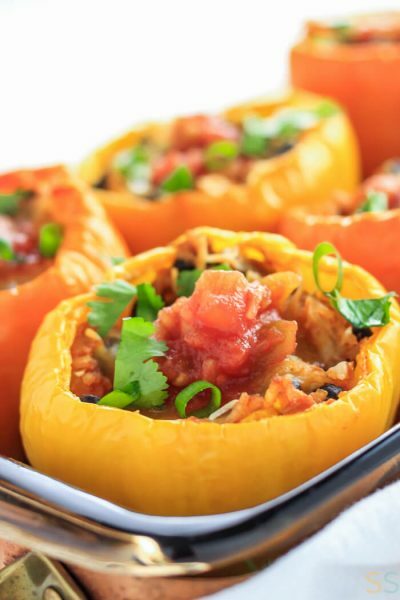 We’ll through them on an open grate over a campfire on camping trips – cook them at home all the time too. I’ve purchased their frozen chicken wings and frozen whole chickens from time to time with no complaint. And their pork sausage seems to be fine too. Produce is hit and miss but I usually cannot beat the prices of those weekly loss leaders! I get all my baking supplies, all the spices/herbs they carry, oh just a TON of things. Can’t report on the snacks too much as we don’t really get most of them – but the Fruit Gummy Snacks taste good to me and my son! We eat their tortilla chips and potato chips regularly too. In general, just so thankful to have an Aldi close by! 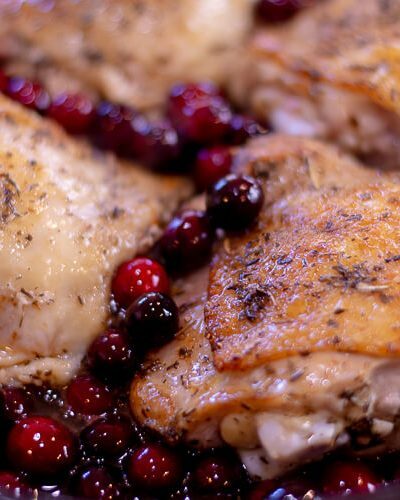 Yes those turkey breasts are AMAZING! Also love their marinated Pork Loin. Wowza. I love the vegetables at Aldi (they definitely go bad if I don’t eat in reasonable time). I’ve never found a better price for cauliflower or onions. I don’t always have a good experience with their fresh fruit however. Apples and oranges are ok, but when I’ve tried strawberries or peaches, I feel like they spoil too quickly. I love to stock up on bananas which I freeze to use for smoothies. I also love their frozen fruit – much less expensive than even the generic brands at my “regular” grocery store and they have an organic option. I also buy all my toilet paper, tissues and paper towels at Aldi. I love that they’re adding healthier options all the time. I love my aldis. We have 3 of them. 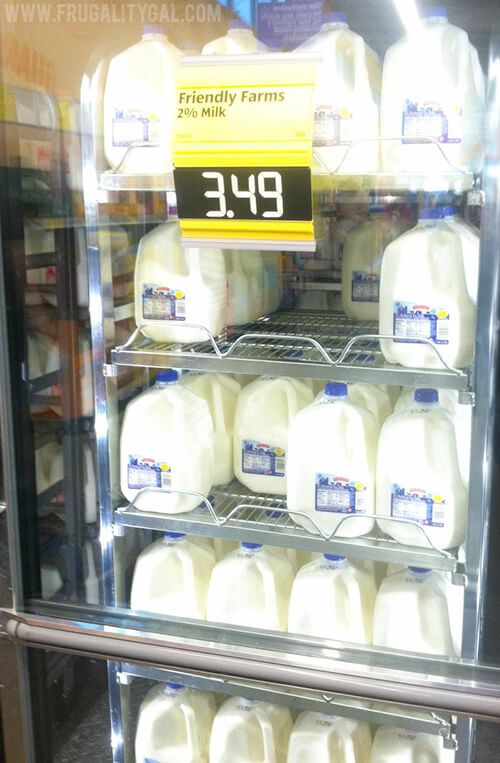 Milk can be about for 2.59. Where can you get that? I get baked goods,sugar chocolate chips, cereal. I tried most of everything. Won’t do the Mac and cheese and the Alfredo sauce are not good. I bought real pop tarts for 50 cents once, bought 8 boxes. My sister is always asking me to bring her stuff. She lives 2 hours away and there are no aldis there. My Mom & Dad swear by Aldi’s and if I go, I go. Their milk is fine. Think the yogurt tastes funny, so we started making our own. Will not buy their produce – swear I get it home looking fine and two days later it is a moldy mess. Tried the snacks for the kids and ended up throwing them away because no one would eat them. Cereal is okay – we generally get the BIG bags of the MOM cereals and spend way less money for way better tasting when it is on sale. I swear every time we try anything Fit & Active, someone in the house ends up with a headache from something in it. I’ll stick to making our own or shopping at the local Scratch & Dent store. It doesn’t save us money if we don’t eat it and have to throw it away. I´m living in the “Motherland” of ALDI, in Germany. As a european I´m wondering about the problems with the beef. You don´t want chemicals in the wrapping but hormons for faster raising in the beef is allowed ? And also feeded with GM-corn? Raised with cancer-causing roundup? The most products at ALDI Germany are produced by the same producer of brands. For Example on Monday the company produce in Germany very popular “Tempo” tissues in the original wrapping and on Tuesday the same tissue is packet in the ALDI wrapping. The same is it with diaries like joghurt or cream cheese or even with soda pops. And I don´t think tha ALDI changes it´s ways to purchase their products in the US. Where do you live? Most of those prices look high! They are building an Also in our nearby town, so I haven’t shopped there yet. I’m really curious to try it, although I wonder how good they can be in such a tiny building…. I love Aldi’s. I can’t think of a single thing I have bought there that I wouldn’t buy again. But one thing I didn’t see mentioned was the chocolate. My husband and I really like their Choceur chocolate bars, which are from Germany. I believe we tried another brand also that we liked, but I can’t remember the name. I’d say I buy 90% of our groceries from Aldi. I always look over produce carefully. Usually grapes and apples are always good. Bagged organic carrots too. I don’t usually buy red meat there because we buy our beef from a local farmer once a year. I love how they have expanded their choices. A friend of mine that is gluten intolerant loves their gluten free selection. She says their bread is the best she has tried and is cheaper than any other store in town. I go out of my way to buy milk and eggs there. Best prices for best quality on those (if not mistaken both are hormone free). I love Aldi and so glad my town got one this past yr. The gluten-free line is the best deal for gf products I’ve found and the quality has been amazing. The gf pasta, cookies, pretzels and pizza dough have been really impressive. I shop at our Aldi’s quite regularly. Milk is a fantastic buy, although our store does not carry 1% that I prefer. Cereal is a fantastic buy. Baking goods, canned goods, pasta. I usually look for empty boxes at the store to use instead of buying sacks. (I’m that cheap!) Their chips are a great price and taste good, too. All crackers (graham, saltine, butter) are a very good value and taste great, too. I don’t understand why, every time I buy the Organic bananas from Aldi, they spoil INSTANTLY. They’re green the day I bring them home. Next day, they already have brown spots… Am I just so used to the non-organic that I’m surprised by this? I love Aldi’s. I buy a lot of 8oz block cheese 1.59-1.79, sliced cheese 1.79, canned tomatoes, beans .59, mustard .69, english muffins .99, just got a fantastic deal on quinoa 16oz 3.49, love when I can get berries for .99. Here’s a tip to make your berries last longer: Soak them leaves and all in a mixture of 1 part vinegar to 10 parts water for a few minutes, drain and let completely dry. Store in uncovered bowl in frig. You’ll love not having to throw away berries you didn’t get to fast enough. I also freeze my bananas when they get to ripe to eat. I use them in my froze treat maker I got at Aldi’s for $15.99 instead of buying ice cream. LOVE Aldi’s! I was so excited when they opened one near my house. I probably save at least $100 per month shopping there. Their Cheez-It’s are just as good as the name brand. 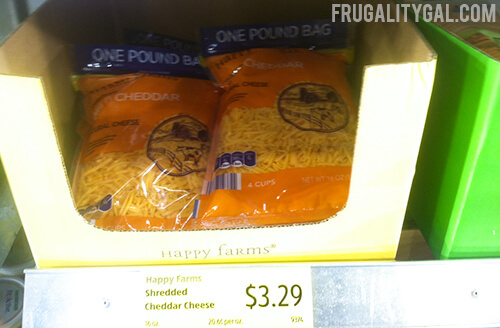 And their packaged Romaine Lettuce and shredded cheese are so much cheaper than other stores. Plus, because their stores are smaller and they don’t bag your groceries (which I prefer to bag my own anyway), you can finish your shopping in no time. I love Aldis. One word, grapes! Here in TN, they are usually 2 lbs for 1.98 or 2.98. I admit I “sample” a grape before buying, but I’ve been disappointed too many times not to, at all stores. Also, love their cheese, produce is good, frozen fruit, desserts, nuts, dried fruits, butter (so much cheaper) and I’m addicted to their baked potato chips! Like others, I’m amazed at what I can buy for 30.00! And, yes, their frozen chicken breasts are delicious. i love aldi’s….. i have bought their spices, cereal, milk, frozen pizzas, canned vegies, fried rice (in the box), sugar, oil, sprays, toilet paper, trash bags, bread, milk, pepperoni, real bacon bits (for cheese balls), and they have a wonderful mix of snack crackers for spreads, cheese balls for a really low price – always get these at aldi’s for my parties, showers, new year’s eve get togethers. I always purchase olive oil and coconut oil at Aldi’s, the price can’t be beaten. I also stock their canned goods, veggies, tomato sauce etc and their coucous is really good. I trnd to stay away from the mac & cheese as it isn’t as firm when cooked as some other brands. Also, their baked goods at my location tend to be stale really quickly. Sometimes I find a gallon of milk for 2.99 at Walgreens and CVS in Orlando FL. Always compare prices. They have the best ketchup also and a great price on stevia and yogurt and the cheapest price on their lactaid free skim milk (2.79) . Aldi’s is my favorite grocery store. I enjoy the no frills attitude of the quarter for the cart, with the return of the quarter when cart returned, and the stacked cardboard boxes on the shelves. I especially like their canned goods from veggies to soups. So much lower than other stores, yet very comparable taste and texture. Sugar, flour, and other baking needs like bakers chocolate are all very good. Their saltines (just normal saltine crackers taste excellent. The oatmeal is good, as are other cereals. 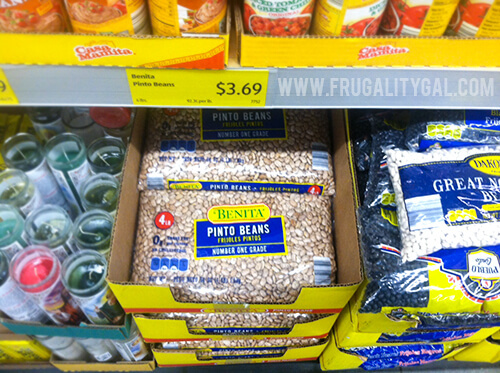 The organic items like lentils and split peas are wonderful when on the shelves. Their canned stew and corn beef hash are good. Potatoes (5 lb bag) are always a good buy, and several times I found bag of fingerling potatoes. Cheese, milk and butter are good. Be on lookout for seasonal items, especially around holidays – good time to stock up on some staples that aren’t carried all the time. Some items you won’t find simply because Aldi’s carries a trimmed down list (what sells best in the area), and intentionally does not stock everything you might expect to find. That does not bother me because I understand their marketing strategy, and am willing to shop elsewhere for the few things I need that they don’t carry, in order to get the great prices on all the items I do find there. For me a fun shopping experience, and wow, how helpful the savings! I love their sourdough square bread… Not a great deal but so good! I have bought some of their cleaning products and was impressed. Window cleaner really is streak free and laundry detergent …. Tandil I think is brand name … Is cheap and does a good job on my clothes! I like to buy their bags of frozen fruit, its portion are larger and less expensive. The 8 packs if AA or AAA alkaline batteries, $1.99, and they last longer & better than name brand batteries. Appreciate the speedy checkout people. No talking while they are checking groceries. FAST! Bought small pears in produce and they NEVER did get ripe. Also bought potatoes once that weren’t too great. Otherwise, I like most items. 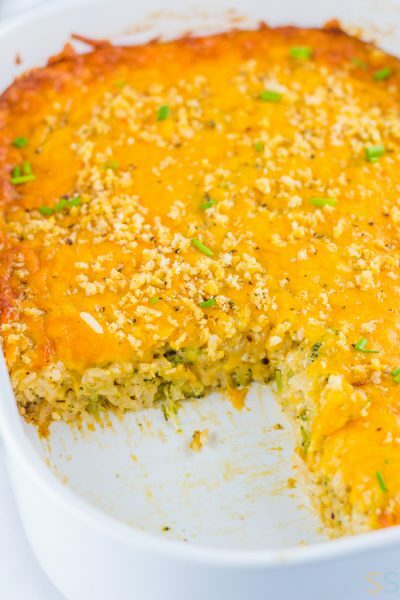 Good frozen veggies and fresh, too. Cereal and cheese, milk/cream, eggs, all good. Baking products fine. But, I never buy meat there. The Aldi’s near us generally has a good selection in produce although not a huge variety the basics are usually there and in good condition. I love buying pears there! $1.49 for 4 good sized pears! In addition to their great prices and quality in dairy products, chips and meats we always pick up their organic cashew butter. $5.99 at Aldi near us, $13.99 at the other grocery stores near us. Can’t beat it! I’ve just recently started shopping at Aldi. Quinoa is less than $4 a bag here. Avocados are always less than a dollar. I purchased some last week for $.25 ea! I buy the cranberry almond chicken salad, it’s really good. The pancake mix is great, like it better than name brands. The oranges are 100x better than anything I have bought at our local grocer. 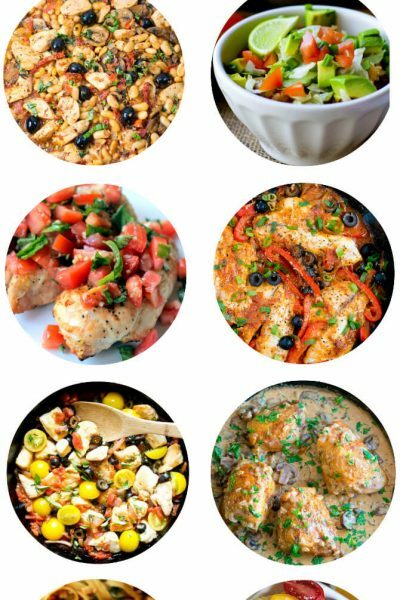 I so agree…their cranberry almond chicken salad is my favorite. Pare it with the croissants and you have a great treat. I shop at Aldi weekly. There are very few items that I do not like. Depending on the locale, the prices vary quite a bit. ie: milk was 1.69 a gallon yesterday. The produce is almost always cheaper than the competitor, it’s fresh and delicious. They are very conscientious in watching the quality of the produce and will mark it down. Give it a try, you will return. Most people have a preconceived notion that this is a ” discount store”. It is, but it is very high quality. Read about it on their website. You will change your shopping habits. I love the specialty items they get in from time to time, Christmas is awsome with the German cookies. I recently purchase Iberico sliced pork, (I have never seen it locally). German sliced cheeses are great when available. Their dairy products are great quality and the prices are the lowest in the area. I always go for the produce specials, just be careful to check the quality. The only item I have regularly had problems with are onions, they are often moldy or you cut into them and they have a rottlon layer or two, This may be a local issue with mold in the warehouses in our area. Great deasl on hotdog and hamburger buns for summer BBQs (terrific potato rolls when available) and their chips and snacks are a great price. My family especially likes the kettle style potato chips and tortilla chips. I have not liked the frozen tortollini. Overall I stop by 1-2 times a week. I love their salad mixes, their dairy (gallon milk at my Aldi is $1.69), their raw nuts, their Boulder paper towels and zipper storage bags. Really the only thing I’ve purchased at Aldi that I won’t buy again is their canned spinach because it was gritty. I purchase the bulk of my groceries at Aldi now and the savings is wonderful. I purchase groceries for two weeks at a time and a packed full cart that cost me $215 at Aldi would have cost me $300-400 at Wal-Mart. I keep telling the girls I work with to go to Aldi, but I think they think there is a stigma attached to shopping there. Oh well, if they want to waste their money, that’s their business. I have more sense than money so it’s off to Aldi I go! I would add hummus, bread, avocados, red potatoes, slice cheese, and organic animal cookies! Love Aldi. It helps me save money. Fish is the best deal here, yes it’s frozen but I usually put fresh fish in the freezer when I get home anyway since we don’t get to it right away. $4.99/lb for salmon or mahi. 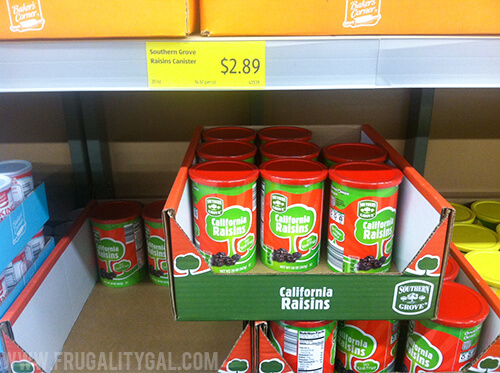 I also buy the pistachios for half what other stores charge, kalamata olives, flatbread, grapefruit as low as 1.95 for a 5lb bag, bananas as low as 29 cents/lb, eggs 1.29 dozen, almond milk 2.29, and I love the Survivor brand trail mix. Our Aldi has a gallon of milk for $1.79 everyday but will drop it to $1.59 often.I also like their pulled pork bbq for our bbq baked potatoes. A pound is $3.99. I always go for their special products they bring in each week. I love their German bratwurst. It taste the most authentic from when I lived in Germany. The hummus is also very good. The Aldis at your store is expensive compared to the Aldi’s in Kentucky lol. 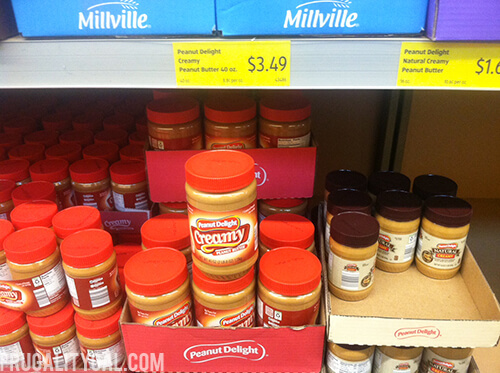 Peanut Butter for $3.49? OMGosh! Ours is like $1.49 haha. I was like I’ll shop at Kroger for $3.49. But yeah, Aldi’s is great, except the produce. Produce at Aldi’s here is always awful looking! I’m coming over to your Aldi haha! Aldi’s Couscous and Quinoa are the cheapest I have seen anywhere. 160z bag of quinoa for 2.49, compare that to around ~6$ anywhere else. Couscous 10oz for 1$, 2.49-4$ anywhere else. Their Milk in Bloomington Normal at Aldis is .80 cents a gallon and their eggs are even cheaper. It’s the same way at the Walmart store. Just left Aldis in Normal. Milk was .59 and eggs were .29 for a dozen A few of the stores in our area have been having milk wars for almost a year. And the low milk prices are spilling over to other staples. I was just in Alabama and happened to see an Aldis store. I had to go in just to see if it was just our area or if all the Aldis were lowering prices. Nope, just here. We were going through over 20 gallons of milk weekly, so this is almost unbelievable savings for us. Sadly, our produce is lacking at both stores. Oh well, I will take the savings where ever I can get it. Milk is much cheaper at walmart. I love Aldi’s! The produce is hit or miss where I am, but over all I save week after week. 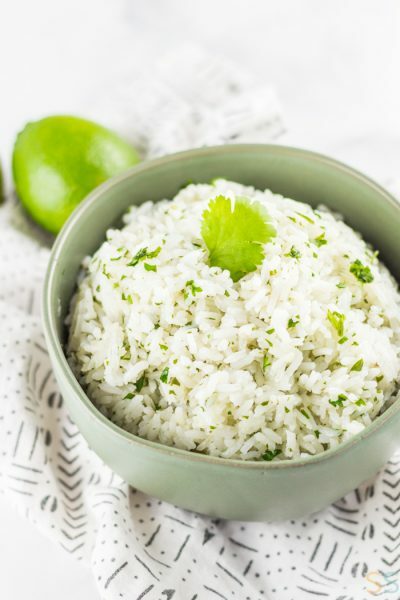 Their jasmine rice is a five pound bag for less than $3! And the quality can’t be beat. 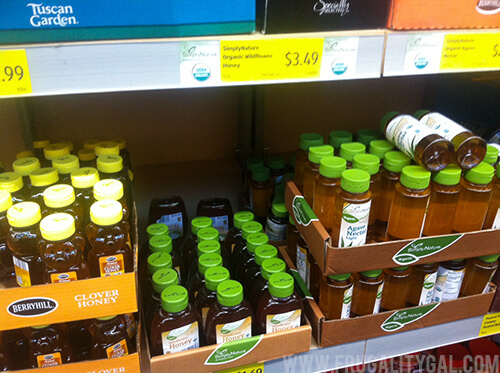 I love that they have many organic items at a great price. Aldi is a major part of my shopping – I’d avoided it for awhile just because all their special rules seemed a bit much, but I tried it once and was hooked. Aldi is a pain to shop at, at least the store I go to — it’s cramped and can be hit or miss on items. (One week they just were completely out of chicken. As in, no chicken at all!) But at least at my Aldi, the produce is good, maybe even better than many of the local grocery stores. (I’ve gotten rotten produce at other stores, which hasn’t happened at Aldi so far). Many of their prices just can’t be beat. I bought organic rice this weekend cheaper than I could buy it in bulk – a good sized bag cheaper than the tiny bag of brown rice I can get at our local health food store. 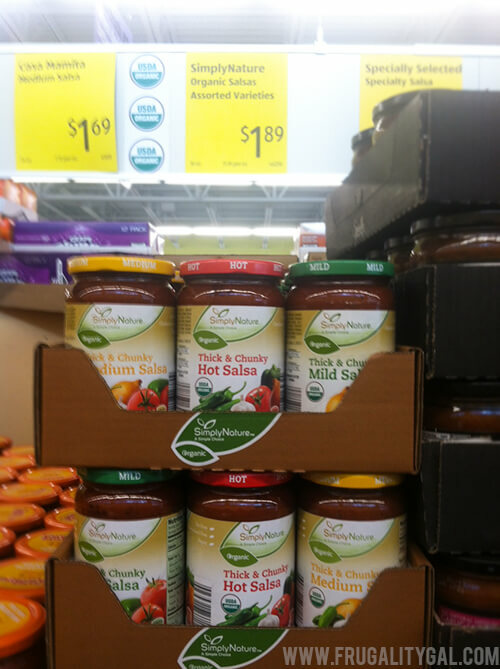 I also like their spaghetti sauce – organic and less added sugar than any other I could find. Their Greek yogurt is $3.50, cheaper than the $6 Chobani of the same variety. Their organic produce is super affordable too, also a plus. The only thing I don’t get is coffee, because I buy from a local roaster for a good price, and a few items I pick up at our local convenient store that actually has decent groceries. Anyway, good post! I’m super pro Aldi. We shop Aldi all the time we go there first and what I can’t find there I then go to other stores to fill in. I agree with the comments above. The brownie mix is the best and so is pie filling there is actually fruit in them not just juice. I have had trouble with produce at times especially potatoes but for the most part if you look it over the rest is usually good. I do not buy much of their meat but recently I tried their chicken breasts and they were big enough to feed 3. their pork chops are marinated in a brine to make them juicy and tender and hamburger was fatty. I did get a good buy on chicken drumsticks on day, the price was 69cents a pound and then the reduced them by $2.00 a package making them less than $1.00 for a family size package. I buy all my cheese, eggs, milk, juices,onions and the best chocolate ice cream bars there. Right now our store is closed for remodeling and I really miss it. I have shopped at Aldi for over 21 years. I tell all my family and friends about the store. You can save so much more than other stores and you cannot beat the quality. Plus I live in Kansas but I’m from New York and there are certain items like their Italian bread from Chicago. There are not any bakeries in my area or other towns within a 2 hour driving distance. Plus some of there special items that Aldi has are always the best. The quality that I have seen is sometimes even superior to name brands as far as it comes to their dairy, canned goods and especially during the holidays their spices and baking supplies are amazing. I am a bit if a coffee snob and even that is just as good if not better than nationally named brands. If you have an issue with any of their products let the cashier know, they stand behind their products with a return policy that is second to none. If you are sceptical about those 10 cent plastic bags don’t worry they are totally worth it because you can use them over and over again. Try doing that with other stores that are usually so thin you can’t make it from the store without them tearing. Aldi, I hope you continue to be successful in the future. You made it possible when I was a single working mom to give my 4 children good meals that they will always remember. Thank you. You have to watch because Aldi can be more expensive than Wal-Mart on some things. They have just started carrying Kerry-gold butter.. Wal-Mart price is 2.88, Aldi is 2.86. Aldi cheese by Happy farm is AWFUL. I can’t stand any of the Happy Farm products. I have bought produce from Aldi only to find it cheaper elsewhere. 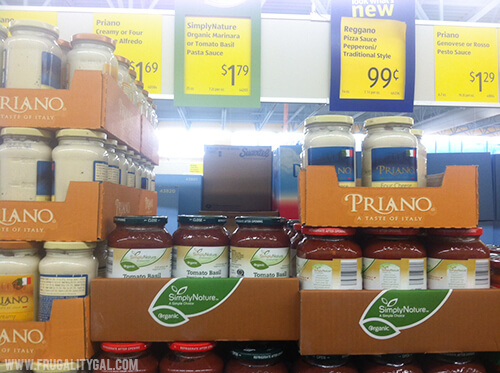 Canned goods are a good deal….breads are good….I only buy certain things at Aldi. Not everything taste good. My family is obsessed with their triple layer chocolate cake(found near the bread). It is seriously the best cake I’ve ever had. The produce at my store is amazing all except the potatoes. I love Aldi! I always buy the sea scallops when my mom is visiting. She loves them and I can feed 4 of us on the $10 bag. Also love to get the thin sliced sirloin. It is great for roulades or bracciole. I also slice it into strips for fajitas. Don’t you love that?? I just did my first Lidl run as well and the scallops were there too! I was so happy! 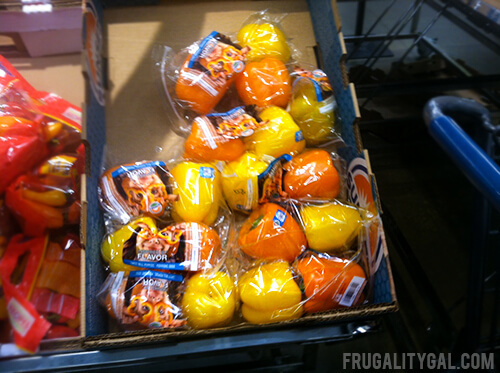 Adli and Lidl are awesome for frugal shoppers! !